Shimano didn't forget about the Bottom Bracket when redesigning their Dura-Ace group. 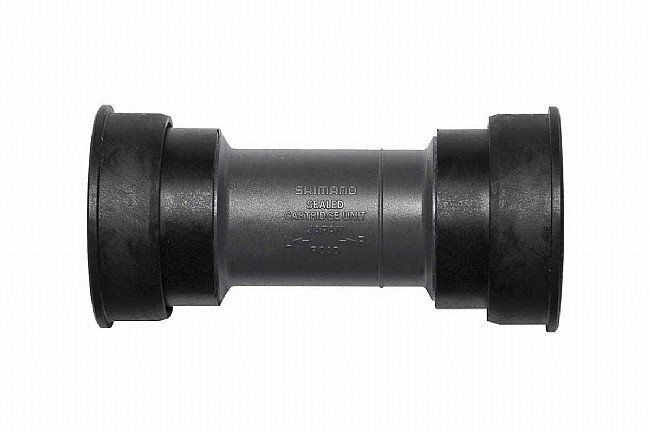 Compared to its predecessor, this BB86/BB92 compatible press-fit bottom bracket manages to simultaneously shave weight and boost efficiency, all while maintaining industry leading weather resistance and durability. These improvements are made possible thanks to slightly smaller bearings that allow for more efficient rolling while furthering weight reduction, and updated seals allow Shimano to drop resistance by a claimed 50%, reducing effort required to pedal with no sacrifice in weather resistance. The Shimano Dura-Ace BB92-41B Press Fit Bottom Bracket is compatible with BB86 / BB92 bottom bracket shells with 86.5 mm / 91.5 mm widths and 41 mm inner shell diameters. Compatible with the 24 mm spindles found on Hollowtech II cranks. The bottom bracket fit perfectly in my BB86 frame. Weighs 54.7 grams on my scale with all the green grease Shimano loaded it up with. Total width about 90mm, diameter that enters frame 41mm, interior diameter 24mm (fits newer Shimano road spindles).